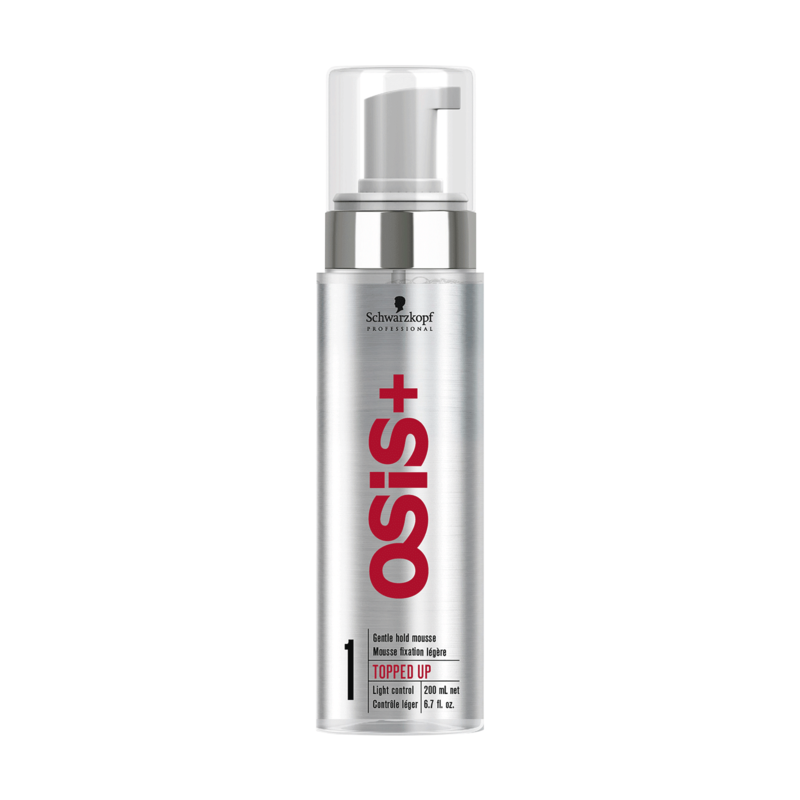 Boost your hair’s volume, shine and body with the Schwarzkopf Professional Osis+ Topped Up - Gentle Hold Mousse. This daily styling mousse is the perfect way to achieve significant volume that still looks natural. Lightweight and non-crunchy, the Osis+ Topped Up Gentle Hold Mousse can boost the bounce of even the finest and shortest of hair. Whilst creating a full-bodied look, this light control styler protects your hair against heat, and adds shine and reinforcement to each strand. The moisturising infusion of glycerine keeps hair healthy and hydrated and ensures that your style is locked in for longer. Shake bottle before use, then apply the Gentle Hold Mousse to damp hair. Blow dry or air dry, then style as usual.